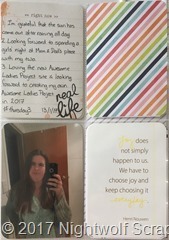 I’ve started my album with a 3×8 pocket and 2 3×4 cards from my stash and backed it with a 3×8 page from Ali Edwards. 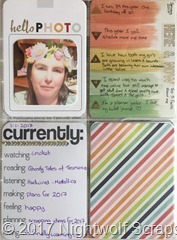 Next we welcome January pages with a Snapcaht of me, my January Currently list and 5 facts about me. 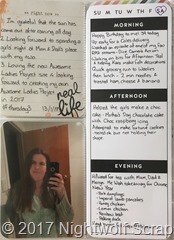 The backside of that page is a #thursday3 list, a mirror selfie and a quote card I had in my Becky Higgins collection. Another 3×8 divider. 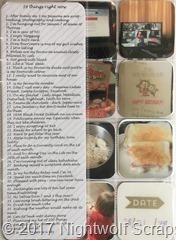 Front side is a list of 39 things about me (as I’m 39 this year) and the reverse is my journaling for my Day in the Life, which I did on my birthday. 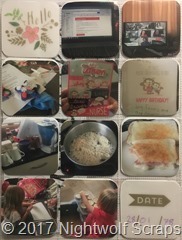 Next up a mini snapshot of my Day in the Life using a bunch of 2×2 pictures. 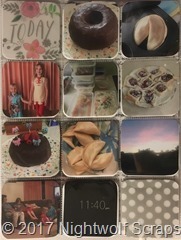 It’s my place to share my creations – cards, scrapbook layouts and pocket page creations. 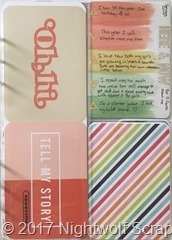 Hopefully a place of inspiration for other like minded crafters. 2019 © Nightwolf Scraps. Crafted with love by SiteOrigin.